Try out a simple word processor for Mac. Maybe you’re unwilling to fork out the funds for Apple’s Pages or Microsoft’s Word. Maybe you’re looking for something lightweight and speedy? Or maybe you just like the idea of using simple software to get things done. Whatever your reason, Bean is a great alternative lightweight word processor for Mac users everywhere. Bean is not a full-fledged replacement for Word or Pages – software it claims “try to be all things to all people”. Instead, Bean’s homepage claims, “sometimes you just want the right tool for the job. That is Bean’s niche“. And if the job is quickly doing some writing, completely with some quick formatting and perhaps the occasional image, Bean is probably right for you. It offers more than TextEdit and less than Pages. 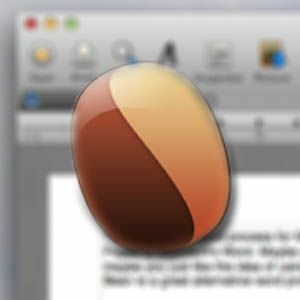 Bean is no longer actively developed, but it still works well on modern Macs and is well worth checking out if complex word processors are bogging you down. Let’s briefly explore what’s here. Go ahead and download Bean to get started. You may find (paid) imitators in the Mac App Store – ignore them. The real Bean is free. Start up Bean and you’ll see an interface that’s more or less familiar – toolbar, ruler, text area. If you’ve ever used a word processor before, you’ll feel right at home. Added bonus – there’s a tabbed interface, perfect if you’re working on multiple documents. The first thing you’ll notice is that there aren’t many options built into the primary interface, and this is part of the point – Bean strives to keep things clean. Sure, you can customize the toolbar and add more interface elements if you want, but Bean keeps things as simple as possible for you by default. The focus is clearly on the writing itself. Don’t like the default font or spacing? You can set any template you want in the settings, which is nice if you want your documents to consistently look a particular way. You’ll find this, and a number of other straightforward options, in the Preferences. That’s not to say that there aren’t formatting options – you just need to know where to look. Click the “Inspector” button. Here you’ll find the formatting and spacing options – close the inspector when you’re done and that distraction is out of your way. 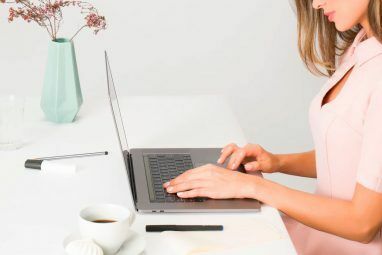 There’s a full screen mode, meaning Bean can function quite well as a distraction free editor< Write In Peace With These Distraction-Free Editors Write In Peace With These Distraction-Free Editors I have felt it. 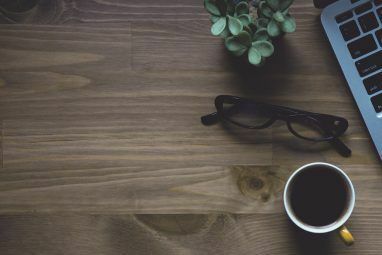 Visual clutter – thanks to menus and other markup features – have often cemented my writer’s block. So, I have tried out quite a few distraction-free text editors in a grand... Read More if you need it too. The fullscreen mode does not use Lion’s builtin functionality, meaning it will not be given it’s own space in launchpad. Oh, and it’s worth pointing out that a live word count at the bottom of the screen is helpful to anyone trying to fill column space, digital or otherwise. This is something TextEdit desperately needs, and does not offer, and I suspect for some will be reason enough to use Bean. Bean is quick to point out that many advanced features are not offered – footnotes, for example, or stylesheets. Graphics are inline only – you cannot make them float. But for all of these limitations there is something appealing about the simplicity offered by Bean. If you just want to write, and like to keep things clean, Bean just works. Native Support: formats Bean supports completely. Import/Export: formats Bean works with, albeit with hiccups. .doc format (MS Word ’97, minus images, margins, and page size). .docx format (Word 2007, minus images and some formatting). Export Only: formats Bean can export to, but cannot edit. Whether these limitations are deal breakers for you depends on how you use documents. If you create documents for printing, or that you yourself will edit later, Bean will probably work really well for you. Notably, Pages documents are not supported for importing or exporting – Apple’s proprietary format can basically only be opened by Pages itself. Looking for other lightweight writing software for your Mac? Matt reviewed FountainPen, a simple writing utility with markdown support. It’s even simpler than Bean in some ways, and includes a built-in goal tracker. Or, if you mostly write for a blog run on WordPress, you should check out PixelPumper, which you can use to write and publish posts to WordPress sites Write & Publish Blog Posts With The Stylish New PixelPumper [Mac] Write & Publish Blog Posts With The Stylish New PixelPumper [Mac] I've been a long time user of the Mac text editor, MarsEdit for writing and posting blog posts to WordPress. In fact, I'd fall to my knees in tears if I had to use the... Read More . It’s got a nice Mac interface. Or, if you just want to focus on writing, you could look into formatting-free options like Imagine. How do you like Bean? Do you see yourself using it over the various alternatives? Is there yet another free word processor for the Mac that’s worth mentioning? As always, I’d love to hear from you so fill me in using the comments below. It’s too bad developer James Hoover announced this project will no longer receive updates, but his reasons make sense. Regardless, he’s left the world a great program I’m sure people will be using for a long time to come. Like Macwitty, I quit Textedit and use Bean for everything I can get away with. I like that its light and quick, yet has features like columns and datestamping! I went back to 2.4.3 tho because the 3.2.5 version doesn't let me date/tiimestamp INCLUDING the day of the week (except for one time immediately after starting the program). With 2.4.3, I can date/time/DAY stamp over and over. Perfect for keeping an ongoing journal. (Shift+command+5). Why did they eliminate this great feature?